Open windows. Tree buds and blossoms. Peeling off the layers of heavy sweaters and down jackets. Eating al fresco. It’s Spring! I couldn’t resist adding some fresh color to our decor at home to match my happy spring mood, and I added in some Easter decorations too for good measure. I started with the Spring sign. I made last year. It’s as cute as I remembered it to be. 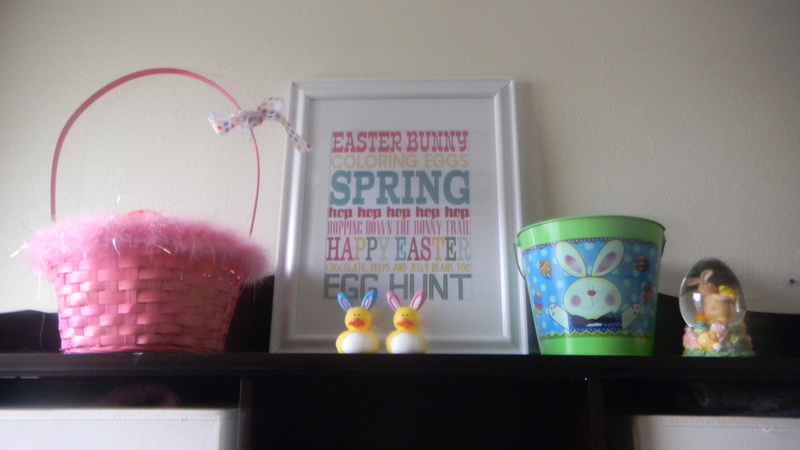 I got this Easter printable for free, then dressed up my entryway with some baskets from my holiday stash. Doesn’t this mason jar look cute? Those are sequined eggs in there. I finished the look with some pretty plaid ribbon. 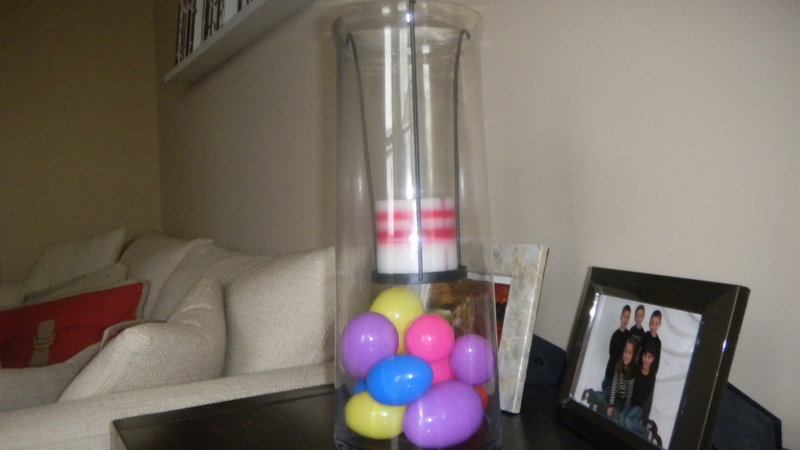 Finally, I took my trusty hurricane candle holder and filled it with some plastic eggs I already had. 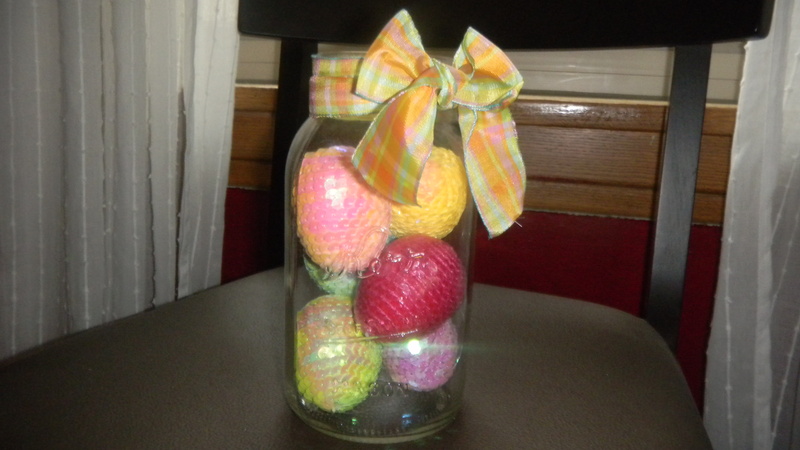 I can’t wait to get started on some ideas I have for more Spring and Easter decorations. I’ve put a limitation on my crafting this time though. I’m instituting a crafting challenge and only allowing myself to make Easter crafts from materials I already have on hand. I’m strictly waiting until after Easter to purchase any new decorations this year. Let’s see what I can come up with this year!